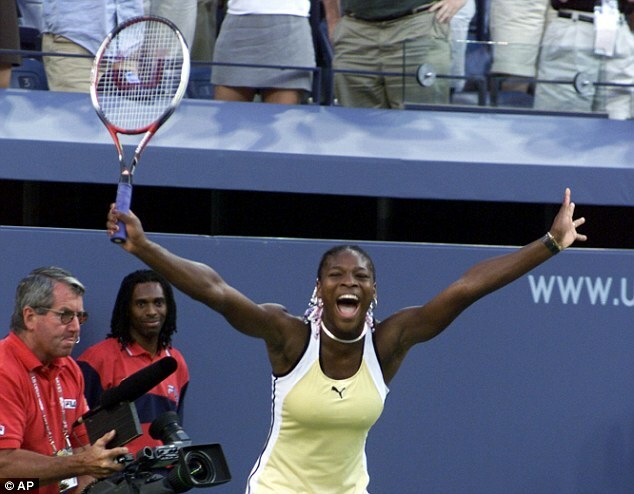 To put Serena Williams’ 23rd Grand Slam win into perspective, it might be helpful to go back to her first. September 11, 1999. Ashley Cole hadn’t yet made his debut for Arsenal, you could still have an account with the Midland Bank, and nobody talked about Fight Club because it had only been shown at the Venice Film Festival a day earlier. Williams, ranked seven, beat top seed Martina Hingis 6-3, 7-6 in the US Open final. Hingis never won a Grand Slam singles final from that date; and neither did Steffi Graf, Arantxa Sanchez Vicario, Conchita Martinez or Jana Novotna, who had mopped up three Grand Slam titles in 1998. Lindsay Davenport took the next one in Australia, but none after. The Williams sisters, Serena and Venus, made most of the game’s finest players obsolete, almost overnight. Then Serena went even further. Muhammad Ali, Michael Jordan, Usain Bolt, Jack Nicklaus, Pele, Roger Federer, Sir Donald Bradman, Serena Williams. The greatest of all time. There should be no discussion now, no caveats that make a play of gender or wonder, foolishly, how many men she would have beaten. That does not matter. Williams plays who she plays, beats who she beats, and it is irrelevant whether this unfolds over three sets or five. Federer defied his age, his injuries, his opponents and being father to two sets of twins to win the Australian Open on Sunday morning. Yet since taking the same trophy in 2010 at the age of 28, Federer has won two Grand Slam titles. In that same period, Williams, 48 days younger, has won 11. It is unreasonable to put that down to weakness in women’s tennis. Between them, the finalists vanquished by Williams in this decade have 17 Grand Slam titles. The careers of those around her should, as Sports Illustrated controversially pointed out, come with an asterisk. Graf won 22 times in the open era but her main rival, Monica Seles, was removed from competition in her prime — the victim of a crazed Graf obsessive, enraged that Seles was proving the better player and had won three of their last four final meetings. Margaret Court, who has 24 titles, won 13 before the Open era — when professional players were barred from entering Grand Slam events. 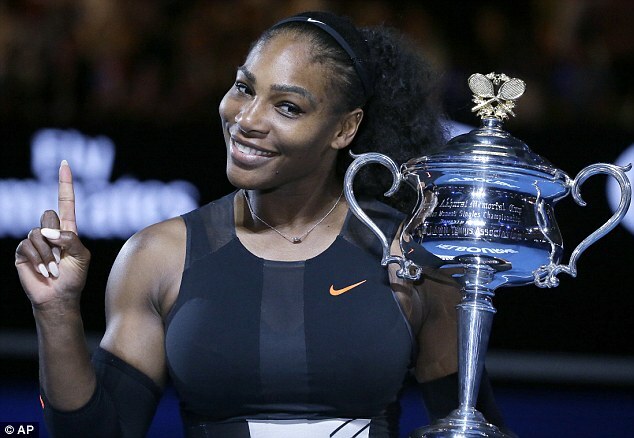 In that period, she won her home Grand Slam, the Australian Open, seven times straight. Court was a fine player, Graf too, but they do not merit consideration beside Jordan or Nicklaus. Williams does. She is insulted when described as one of the greatest female athletes and rightly so. She shouldn’t be subject to caveats. This is a champion who suffered a pulmonary embolism and dropped to 175 in the world; only to be back at No 1 the following year. This is a player who has won more games than any in history, who returns to the No 1 position for the seventh time — she already shares the record for the most consecutive weeks at top spot with Graf — and who stands alone in winning 10 Grand Slam titles in consecutive decades. A man with her achievements would not have a question mark by his name. Federer doesn’t. Bolt doesn’t. If a man had won 23 singles titles — and another 16 in doubles, do not forget, which if placed against Graf’s record as a whole, meant she overtook the German at the Australian Open in 2010 — there would be no doubting his credentials. ‘The greatest ever? 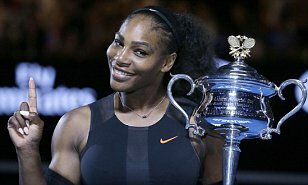 If I were a man, I would be in that conversation six, seven or eight years ago,’ Williams told ESPN last year. And she’s not bragging, she’s right. If she were a man, the forehand, the serve, the intelligence and athleticism would be considered as essential as Jordan’s hang time, or Ali’s shuffle. Federer is a marvel, his match with Rafael Nadal will be remembered as one of the joys of the sporting year. But nobody has owned tennis the way Serena Williams owns tennis; and it is unlikely anyone ever will.